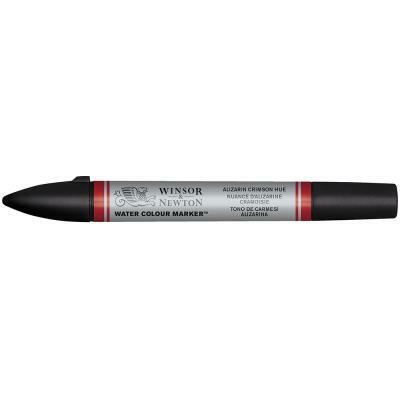 Winsor & Newton Water Colour Markers are an outstanding range of highly pigmented water-based markers which deliver Winsor & Newton’s superb colour performance with added precision. 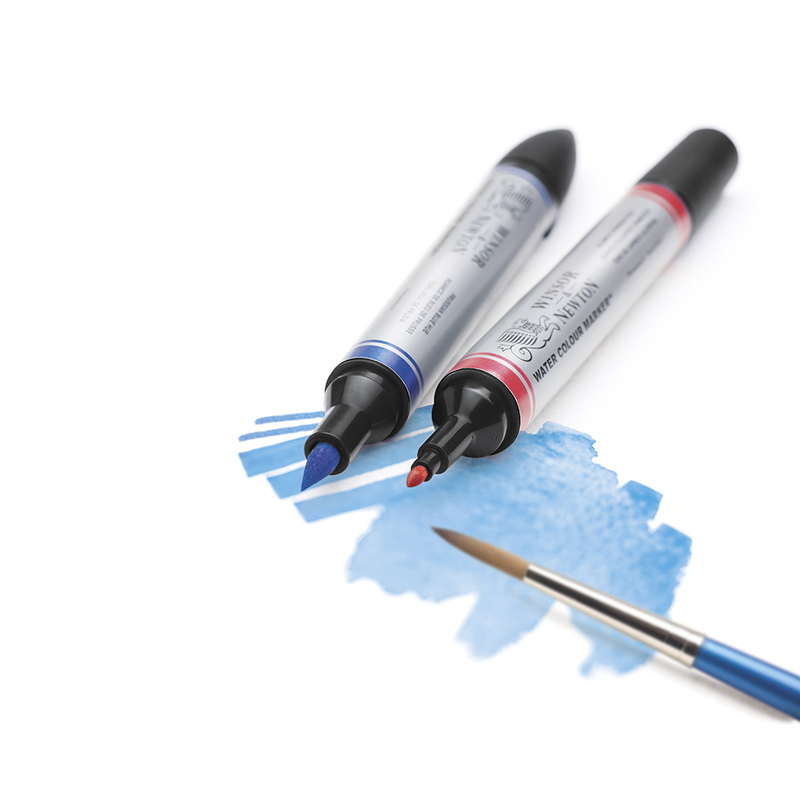 Expertly crafted with a twin tip, the markers enable artists to achieve unrivalled definition and control with water colours. Each marker has a fine point on one end and a flexible brush nib on the opposite, helping you create a variety of stunning, sweeping line thicknesses and superior detailing. The colour is easily blended with water to create soft and vibrant water colour washes. The markers have been specially formulated using fine quality artists’ pigments. They not only offer incomparable vibrancy, flow and blending ability, but they also provide excellent permanence and durability far superior to their dye-based marker equivalents. 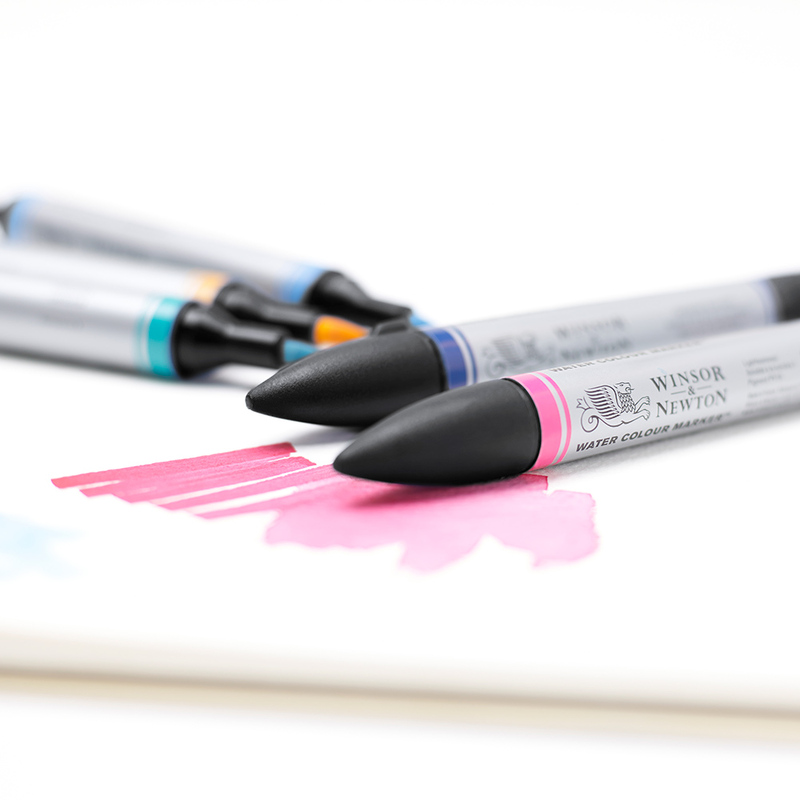 Winsor & Newton Water Colour Markers are available in a balanced spectrum of 36 brilliant colours and are fully intermixable with traditional water colours and mediums. For optimum results, use them with Winsor & Newton Watercolour Paper, which provides excellent lifting properties to further enhance the blending abilities and flow of the markers. Alternatively Bockingford Watercolour Paper can be used. Ken Bromley's replies: I am sorry you have been having problems with your markers. W&N do advise that for best results for blending the markers, to use their watercolour marker pads. With regards to the markers coming apart when you take the lids off. We are happy to replace any markers where this is a problem, just contact us and we can sort that out for you. The more I use them the better they get.